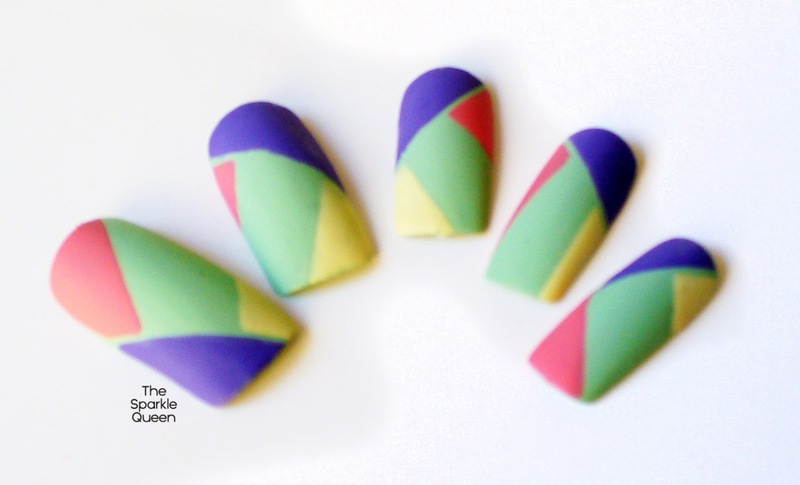 …also known as my “Fail Geometric Nails” in my head. either I give in or my nails get better, whichever comes first. matte, I can at least mix those altogether somehow right? WRONG. Oh, so wrong. I really like them actually!! Thank you 🙂 I think the colors go well together, but not my first choice of colors you know? Haha thanks Sam! I think I just miss my more sparkly nails. 🙂 SPARKLE WITHDRAWAL! 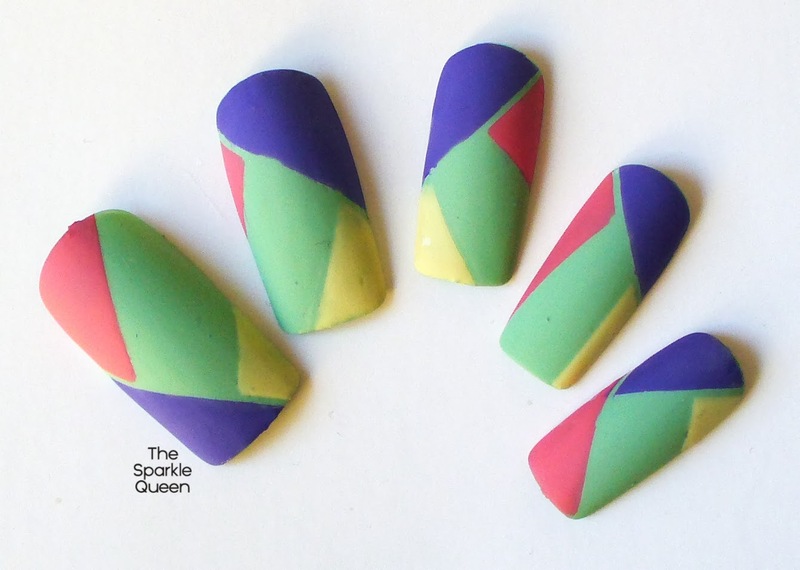 That nail art challenge is lots of fun! Thank you so much Anastacia! I adore these! Your photo jumped out at me from the link up, the colours, the shapes, the finish = perfect! Oh why thank you 🙂 That made my day! I really like the fact that they aren't really "color blocking" as there is a thin line (stripping tape I guess ? :)) between each colors ! I might try this soon ! Yeah, I thought about that. I figured this would mix it up a little bit leaving that gap. If you do you gotta share it with me on FB or something, I would LOVE to see how your's turn out! I really like these, they are different, and i find them quite fresh 🙂 I definitely wouldn't call them a fail! Seriously, I think they're fab! Definitely NOT a hot mess! I think they're fabulous, and NOT a hot mess! As for missing your sparkles, you could always add a few later, or lay down some glittery striping tape. Ohhh that's a good idea, glittery striping tape. I may just do that 🙂 Thanks Lisa! Awww…don't hate them they are awesome! Love those crisp lines! And the colors are gorgeous! ? I really love the design and colors!! !